cryptonaut-in-exile: Catholic Charismatic Church Archbishop's biography fails to mention his past convictions and jail time. 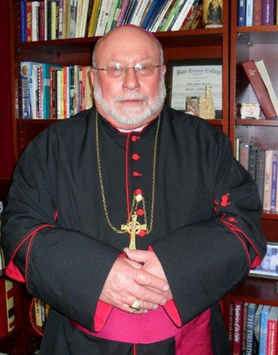 Catholic Charismatic Church Archbishop's biography fails to mention his past convictions and jail time. The conviction was not Walzer's first — he had spent time in prison during the 1970s and '80s for bank and real estate fraud — and the judge sentenced him to the maximum term of 20 years. 'You act as though you're above the law and morality. Your previous crimes and punishment haven't deterred you,' Judge Linda K. Lager said at the sentencing, according to the Register.